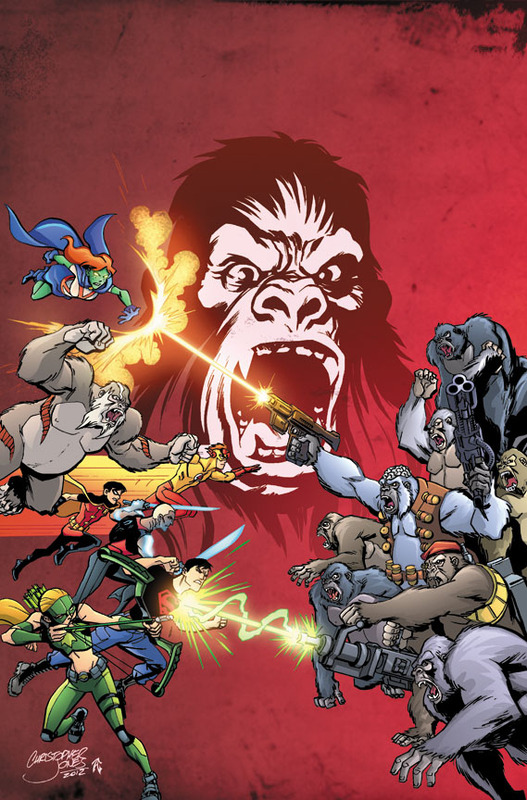 Christopher Jones Comic Art and Illustration Blog » The Gorillas are Revolting! • The Brain, Monsieur Mallah and The Ultra-Humanite have captured the team. • What does Gorilla Grodd want with Miss Martian? Will the rise of Gorilla City mean the fall of Young Justice? Issues #1-15 are currently available and #16 is due out May 30! Pick an issue up in digital form or at your local comic shop!